Primary areas of expertise include Shakespeare and the English Renaissance (Early Moderns), electronic texts (XML markup and editing), digital humanities, the history and scholarship of editing Shakespeare (electronically and in print: see my Shakespeare XML Project), the history and development of English prose through style and stylistics, horror fiction and film (vampires, witchcraft, ghost stories, and lycanthropy), especially Bram Stoker's Dracula, Victorian poetry, prose and fiction, technology and teaching, computer applications in literary scholarship and editorial work, popular culture, Canadian studies (prose, fiction, and music), faculty support work through pedagogy and technology, software / website usability testing, HCI (Human Computer Interaction), theory and practice of Interface Design, and faculty support work (technical training and professional development). Secondary areas of expertise include curriculum development and assessment, human resources (recruitment and management), project management for web designers which I have taught at Seneca College for 26 years, the development of strategic alliances and partnerships between the educational and private sectors, high levels of technical expertise. I pioneered York University's first videoconferenced courses and initiated electronic classrooms in the in the late 1980s, several years before the invention of the WWW in 1990. I have worked as a videoconferencing and educational consultant for more than two and a half decades. 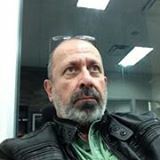 I have extensive and diverse teaching experience at the university level in 9 different academic disciplines including subject areas in English Literature, Humanities, Social Science, Canadian Studies, History, Popular Music and Culture, Technology (ITEC), Canadian Corporate Development, Communication in Organizations, Essay Writing, Business case studies for Admin Studies, Writing and Composition, and Critical Skills for Kinesiology majors. My aim is to make all my classes transformative as well as transactional.